Summertime has inspired my first sewing project! I think parts of it may be a bit ambitious for the inaugural attempt, but diving in head first is not uncharacteristic of my methods. 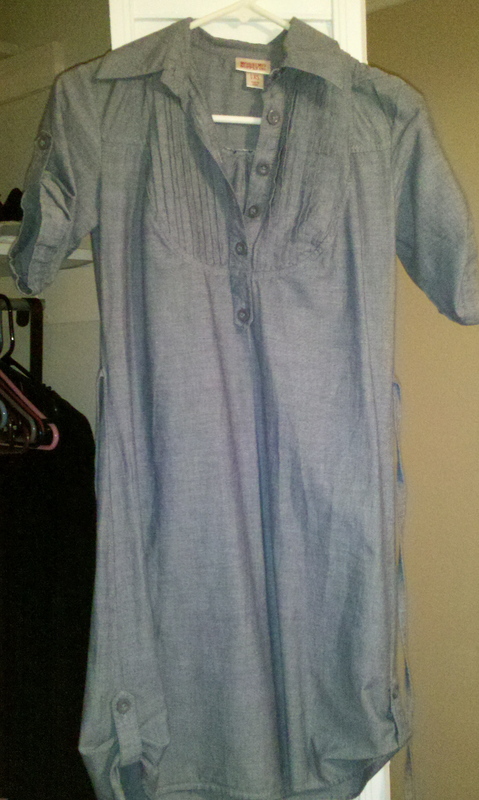 I have a shirt dress that I’ve worn once and tried on a dozen times. It is ill fitting, but the fabric is wonderful. Although I resemble a cereal box when wearing it, I have not been able to part with it because I like the fabric so much. It’s 100% cotton that moves like linen and looks like denim. So, I’ve resolved to rip all of the seams out of it and create something entirely new! 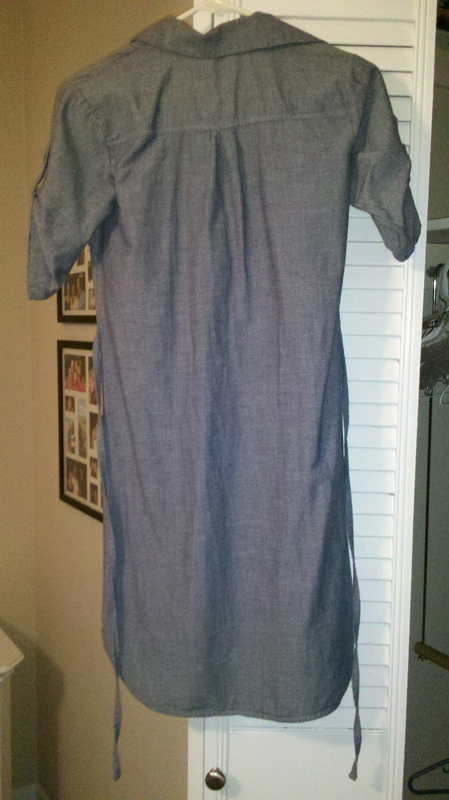 The front of my salvage dress. The back of my salvage dress. Not really much to look at… yet. Here’s a basic drawing of what I want to turn it into. Now what I’m thinking is the skirt part will be made of the cotton material from my old dress. I intend to use the front panel of the dress for the back of the skirt and vice versa. I want the top to be made of a crocheted design. I have no idea how to crochet. So, I will need to learn how to do so. If any of you old pros know how to crochet or know of good resources to learn…I’d love to hear from you! Stay tuned for pictures and progress. This entry was posted on Tuesday, July 5th, 2011 at 12:22 PM	and tagged with beginner sewing, crochet, denim, dress design, fashion design and posted in Fashion Design. You can follow any responses to this entry through the RSS 2.0 feed.